Shy Sherlock Holmes and Dr. Watson rise unusually early one night to meet a young woman named Helen Stoner. Helen fears that her life is being threatened by her step-father, Roylott, a doctor who practiced in Calcutta, India and was married to Helen’s late mother who was a widow living there. Dr. Roylott is the impoverished last survivor of what was a wealthy but violent, ill-tempered and amoral Anglo-Saxon aristocratic family of Surrey, and has already served a jail sentence in the past for killing his Indian butler in a rage. Helen’s twin sister had died almost two years earlier, shortly before she was to be married. Helen had heard her sister’s dying words, “The speckled band!” but was unable to decode their meaning. Helen herself, troubled by the perplexing death of her sister, is now engaged, and she has begun to hear strange noises and observe strange activities around Stoke Moran, the impoverished and heavily mortgaged estate where she and her stepfather live. Dr. Roylott also keeps strange company at the estate: He is best friends with a band of Gypsies on the property, and has a cheetah and a baboon as pets. For some time, he has been making modifications to the home. Before Helen’s sister’s death, he had modifications made inside the house, and is now having the outside wall repaired, forcing Helen to move into the room where her sister died. Holmes listens carefully to Helen’s story and agrees to take the case. He plans a visit to the manor later in the day. Before he can leave, however, he is visited by Dr. Roylott himself, who threatens him should he interfere. Undaunted, Holmes proceeds, first to the courthouse, where he examines Helen’s late mother’s will, and then to the countryside. At Stoke Moran, Holmes inspects the premises carefully inside and out. Among the strange features that he discovers are a bed anchored to the floor, a bell cord that does not work, and a ventilator hole between Helen’s temporary room and that of Dr Roylott. 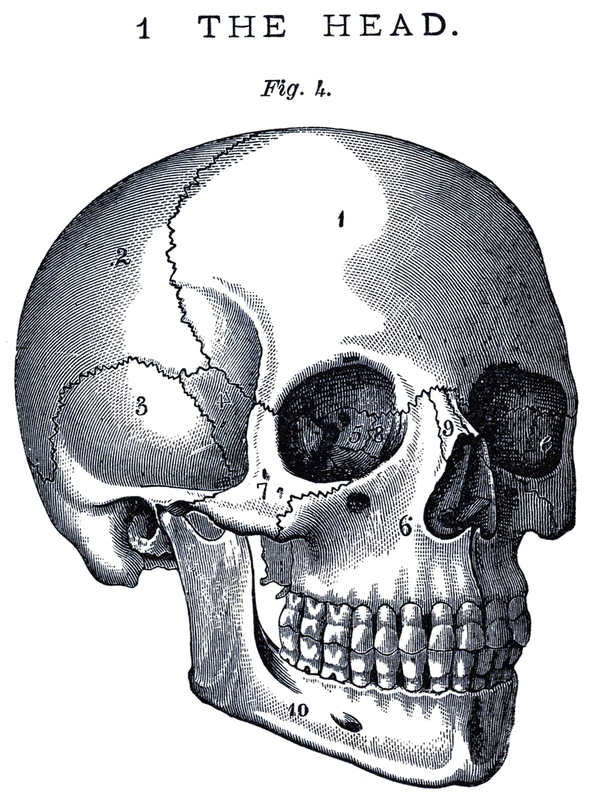 When Holmes and Watson encounter the chimpanzee that lives on the Roylott estate, they initially mistake it for a “hideous and distorted child, who threw itself upon the grass with writhing limbs.” This reminds me a lot of “The Murders of the Rue Morgue” in which Edgar Allan Poe’s detective, Auguste Dupin discovers that the gruesome murders were not committed by a human, but was actually committed by a loose orangutan. Much has already been written about the racialization and potentially racial gothic nature of Poe’s detective story (see my blog post on “Rue Morgue” for more specifics. But this moment in “Speckled Band” seems to be another instance of imperial gothic writing, as well as a link to Poe’s earlier detective, who most likely served as a model for Sherlock Holmes. 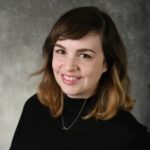 At the start of the story, Sherlock tells Helen that she doesn’t need to worry about paying him beyond financially covering whatever costs he must spend during the investigation. For Sherlock, “my profession is its own reward.” This allows Sherlock to take on the role of a true gentleman- one who does not get paid for work, but instead performs moral tasks for its own sake, as well as for his own pleasure. Additionally, by taking part in solving this case, Holmes prevents Dr. Roylott (a man who, although aristocratic, must work for his own survival) from obtaining money via crime. Holmes arrives at Dr. John Watson‘s residence one evening in a somewhat agitated state and with grazed and bleeding knuckles. Much to Watson’s surprise, he had apparently escaped three separate murder attempts that day after a visit from Professor Moriarty, who warned Holmes to withdraw from his pursuit of justice against him to avoid any regrettable outcome. First, just as he was turning a street corner, a cab suddenly rushed towards him and Holmes just managed to leap out of the way in time. Second, while Holmes was walking along the street, a brick fell from the roof of a house, just missing the detective. He then called the police to search the whole area but could not prove that it was anything other than an accident. Finally, on his way to Watson’s house, he was attacked by a thug armed with a cosh. Holmes managed to overcome his assailant and handed him to the police but admitted that there was virtually no hope of proving that the man was in the employ of the criminal mastermind. Holmes has been tracking Moriarty and his agents for months and is on the brink of snaring them all and delivering them to the dock. Moriarty is the criminal genius behind a highly organised and extremely secret criminal force and Holmes will consider it the crowning achievement of his career if only he can defeat Moriarty. Moriarty is out to thwart Holmes’s plans and is well capable of doing so, for he is, as Holmes admits, the great detective’s intellectual equal. Holmes asks Watson to come to the continent with him, giving him unusual instructions designed to hide his tracks to Victoria station. Holmes is not quite sure where they will go, which seems rather odd to Watson. Holmes, certain that he has been followed to his friend’s house, then makes off by climbing over the back wall in the garden. The next day Watson follows Holmes’s instructions to the letter and finds himself waiting in the reserved first class coach for his friend, but only an elderly Italian priest is there. The cleric soon makes it apparent that he is in fact, Holmes in disguise. As the train pulls out of Victoria, Holmes spots Moriarty on the platform, apparently trying to get someone to stop the train. Holmes is forced to take action as Moriarty has obviously tracked Watson, despite extraordinary precautions. He and Watson alight at Canterbury, making a change to their planned route. As they are waiting for another train to Newhaven a special one-coach train roars through Canterbury, as Holmes suspected it would. It contains the professor, who has hired the train in an effort to overtake Holmes. Holmes and Watson are forced to hide behind luggage. Having made their way to Strasbourg via Brussels, the following Monday Holmes receives a message that most of Moriarty’s gang have been arrested in England and recommends Watson return there now, as the detective will likely prove to be a very dangerous companion. Watson, however, decides to stay with his friend. Moriarty himself has slipped out of the grasp of the English police and is obviously with them on the continent. Holmes and Watson’s journey takes them to Switzerland where they stay at Meiringen. 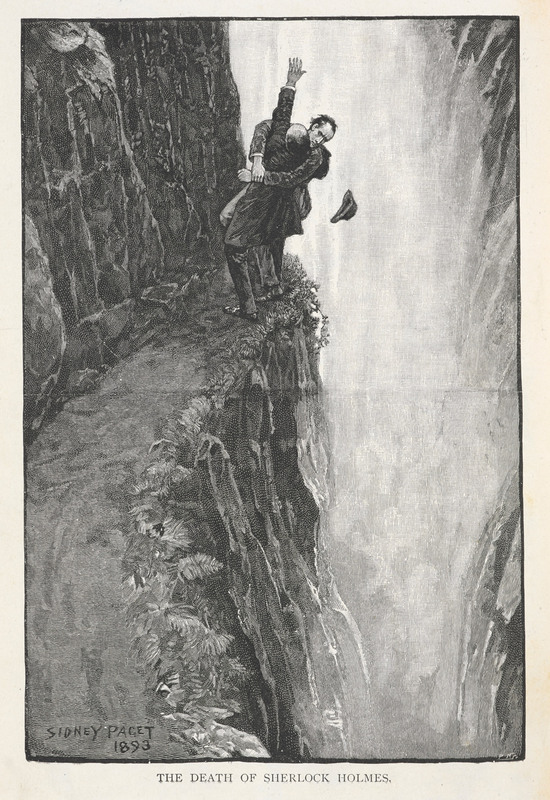 From there they fatefully decide to take a walk which will include a visit to Reichenbach Falls, a local natural wonder. Once there, a boy appears and hands Watson a note, saying that there is a sick Englishwoman back at the hotel who wants an English doctor. Holmes realises at once it is a hoax although he does not say so. Watson goes to see about the patient, leaving Holmes by himself. By placing a single man behind a litany of crimes and criminals in England, Doyle allows for there to be some sort of order explaining the chaos of crime. Additionally, through this, we once again bear witness to Holmes’s ability to see through foggy obscurity to arrive at the truth. Doyle wrote this story in order to put an end to the Sherlock Holmes stories, which he viewed as taking away his time from more valuable studies (his interest in spirituality) and more high-brow literary writing. Despite the fact that the Sherlock Holmes stories were so financially successful, Doyle was tired of them. In respect of his fans, however, Doyle made sure that Holmes died in a blaze of glory, bringing down numerous criminals as well as the greatest criminal that he ever known. Eventually, however, Doyle felt the pressure of his readers, causing him to write The Hound of the Baskervilles (1902),which was set before “The Final Problem” and later reviving Holmes in the story “The Adventure of the Empty House” (1903). Once again, we see Sherlock Holmes donning a disguise. He always seems to take on the outward appearance of the lower classes. Is this because they are typically ignored in cities despite their large numbers? 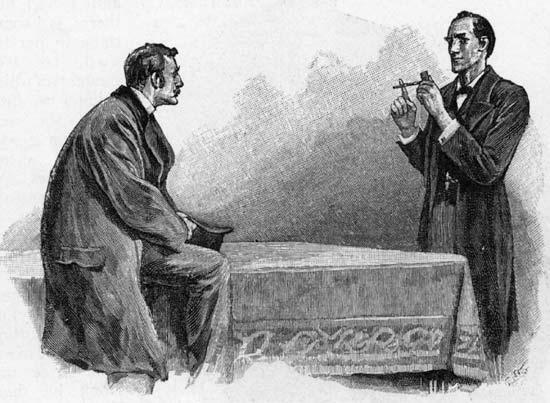 Holmes calls on Watson late one evening to tell him about a case that he has been working on, and also to invite him to be a witness to the final stage of the investigation. Colonel James Barclay, of The Royal Mallows based at Aldershot Camp, is dead, apparently by violence, and his wife, Nancy, is the prime suspect. The Colonel’s brother officers are quite perplexed at the Colonel’s fate, as most of them have always believed that he and Nancy were a happy couple. They have observed over the years, however, that the Colonel seemed more attached to his wife than she to him. They have also noticed that the Colonel sometimes had bouts of deep depression and moodiness for no apparent reason. As a married officer, the Colonel lived with his wife in a villa outside the camp at Aldershot, and one evening Nancy went out in the evening with her next-door neighbor, Miss Morrison, on an errand connected with her church, and came back not long afterwards. She went into the seldom-used morning room and asked the maid to fetch her some tea, which was unusual for Nancy. Hearing that his wife had returned, the Colonel joined her in the morning room. The coachman saw him enter, and that was the last time that he was seen alive. The morning room’s blinds were up, and the glass door leading out onto the lawn was open. When the maid brought the tea, she heard an argument in progress between Nancy and her husband, and she heard Nancy say the name “David.” She fetched the other maid and the coachman, who came and listened. Nancy was very angry and shouting about what a coward her husband was; his words were softer and less distinct. Suddenly, the Colonel cried out, there was a crash, and Nancy screamed. Realizing that something awful had just happened, the coachman tried to force the locked door, but could not. He remembered the outside glass door, and went outside to get into the room through that. Upon entering, he found that Nancy had fainted, and the Colonel was lying dead in a pool of his own blood. The coachman summoned the police and medical help, and also found, to his surprise, that the key was not in the locked door on the inside. Later, a thorough search failed to turn it up. A peculiar club-like weapon was also found in the morning room. Although the staff has seen the Colonel’s weapon collection, they do not recognize this weapon. Holmes believes that the case is not what it initially appears to be. Although the staff are quite sure that they only heard the Colonel’s and his wife’s voices, Holmes is convinced that a third person came into the room at the time of the Colonel’s death and, rather oddly, made off with the key. This Holmes deduces from footmarks found in the road, on the lawn, and in the morning room. Odder still, the mystery man seems to have brought an animal with him. Judging from the footmarks it made, it is long with short stumpy legs, like a weasel or a stoat, but bigger than either of those animals. It left claw marks on the curtain, too, leading Holmes to deduce that it was a carnivore, for there was a bird cage near the curtain. Holmes is sure that Miss Morrison holds the key to the mystery, and he is right. She claims to know nothing of the reason for the argument between her neighbors, but when Holmes tells her that Nancy could easily face a murder charge, she feels that she can betray her promise to her and tells all. On their short outing, the two women met a bent, deformed old man carrying a wooden box. He looked up at Nancy and recognized her, and she also did; they were acquaintances from about 30 years earlier. Nancy asked Miss Morrison to walk on ahead as there was apparently a private matter to discuss with this man. She came back very angry, and made her friend swear not to say anything about the incident. This breaks the case wide open for Holmes. He knows that there cannot be many men of this description in the area, and soon identifies him as Henry Wood, and goes with Watson to visit him the next day in his room in the very same street where the two women met him. Wood explains all. He had been a corporal in the same regiment as Colonel Barclay, who was still a sergeant at that time, at the time of the Indian Mutiny. Also at this time, he and Barclay were both vying for Nancy’s hand. Henry was not deformed, and much better looking in those days. The regiment was confined to its cantonment by the turmoil in India, and water had run out, among other problems. A volunteer was asked for, to go out and summon help, and Henry volunteered to do so. Sergeant James Barclay — later the Colonel — instructed Henry on the safest route to take. But as Henry traveled along the route, he was attacked and taken prisoner, being knocked unconscious in the process. When he came to, he gathered from what he knew of the local language, spoken by his captors, that Sergeant Barclay had betrayed him to the enemy, driven by one motive – to get rid of Henry so he could have Nancy for himself. Henry was tortured repeatedly, which is how he became deformed, spent years as a slave or wandering, learnt how to be a conjurer, and when he was getting old, he longed to come back to England. He sought out soldiers because he was familiar with the milieu; likewise Doyle’s account hints that another reason that Wood came back is that he does not have many years left to live – his yellow eyes indicate jaundice or hepatitis B and his need for a fire in the summertime also hint at malaria. Then, quite by chance, he met Nancy that evening. Unknown to her, however, he followed her home and witnessed the argument, for the blinds were up and the glass door open. He climbed over the low wall and entered the room. An apoplectic fit caused by the sight of him killed the Colonel instantly, and Nancy fainted. His guilty secret was at last laid bare. His first thought then was to open the inside door and summon help, and he took the key from the now-unconscious Nancy to do so, but realizing that the situation looked very bad for him and that he himself could be charged with murder, he chose instead to flee, stopping long enough to retrieve Teddy, his mongoose that he used in his conjuring acts, which had escaped from the wooden box. However, he did drop his stick, the strange weapon that was later found, and he inadvertently carried the key off with him. An inquest has already exonerated Nancy, having found the cause of the Colonel’s death — apoplexy (Wood claimed the Colonel was dead before he received his apparently lethal head wound from hitting a table, and the experts have apparently come to the same conclusion). Once again, we see reference to Holmes’s ability to look past the fog to arrive at the truth. Henry appears to be deformed man and conjurer, with a face and body that immediately sets Nancy’s maid on edge, however, it turns out that he only appears this was as a result of his being wronged by the Colonel. Naturally, he was a handsome man and an ardent lover, and was completely innocent of the murder. In this case, it turns out there was no actual murder, but that the Colonel instead died from an apoplectic fit after seeing Henry and experiencing years of guilt and fear. Comparing this to “The Speckled Band” is interesting, because in that story, Helen initially believes that her sister died of fright at something she saw, however Holmes says that the actual cause was something “more tangible.” In The Sign of Four, Holmes criticizes Watson for his written versions of their cases, claiming that they are too “romantic” and don’t focus enough on the facts and logic of the case. It seems that Sherlock pushes against the emotional in favor of the tangible- what he can see and analyze through logic. This case, however, required him to focus on emotion- the fear and guilt felt by the Colonel- in order to explain the sudden death and reveal Helen’s and Henry’s innocence. Like many of the Sherlock Holmes stories, this one fits in nicely as an example of the imperial gothic. A horrible crime of the past that happened in India during the Sepoy Mutiny has returned by infiltrating London to wreak havoc upon its white inhabitants. Select Sherlock Holmes Short Stories by Caitlin Duffy is licensed under a Creative Commons Attribution-ShareAlike 4.0 International License.